When Jimmy and I purchased Roaring Run Farm in 2010, we knew it was going to be a special place. And it has exceeded our expectations! In 2012, with the help of our local community, we hosted our first Wounded Warrior Weekend, with Wounded Warriors from the Walter Reed National Military Center. Since then we have enjoyed hosting many weekends with Warriors and their families. 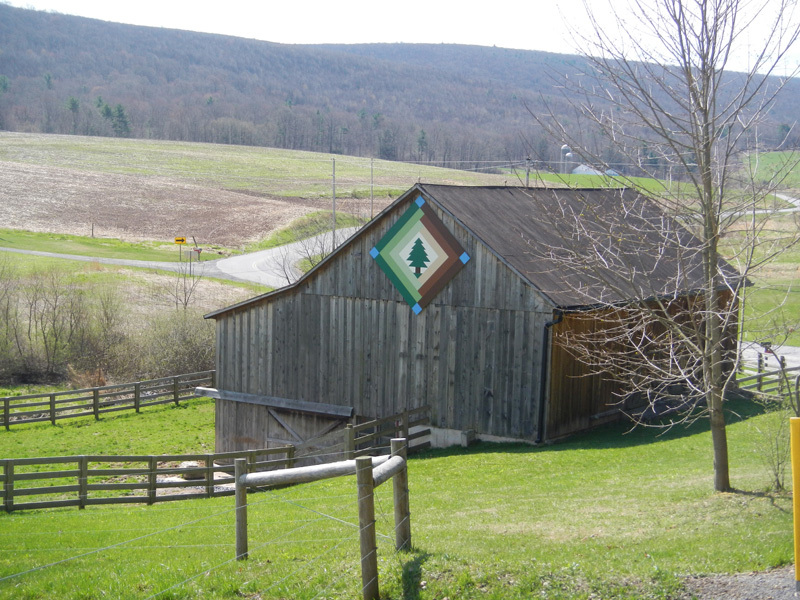 The pine tree in the center of the quilt represents the evergreens that make up our farm and the surrounding Buchanan State Forrest, and the greens in the Log Cabin Quilt pattern represent the colors of green we see all year long. The browns are a nod to the original log house on the property. The blue squares in the four corners represent Roaring Run.